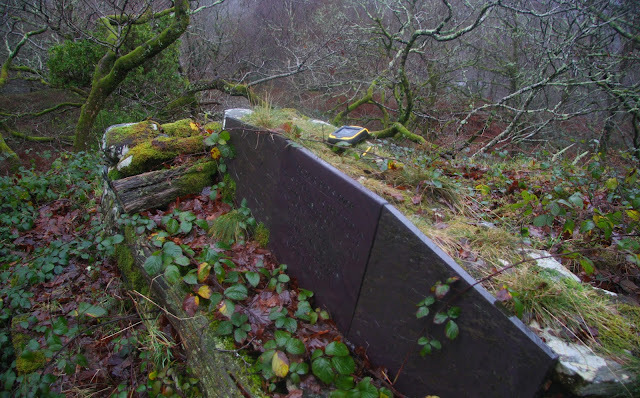 There has been a Summit Relocation to a hill listed in the 30-99m Twmpau and Y Trechol – The Dominant Hills of Wales which was initiated by a survey with the Trimble GeoXH 6000 which took place on the 23rd December 2017 in wet conditions but with clear visibility. 30-99m Twmpau – Welsh hills at and above 30m and below 100m in height that have 30m minimum drop. With the word Twmpau being an acronym standing for ‘thirty welsh metre prominences and upward’. Y Trechol – The Dominant Hills of Wales - Welsh P30s whose prominence equal or exceed half that of their absolute height. The name of the hill is Bryn Tŵr and it is placed in the Moelwynion range of hills which are situated in the north-western part of North Wales (Region A, Sub-Region A1), and the hill is positioned overlooking the A 4085 road and the Nanmor to its east, with it being positioned between the village of Beddgelert to its north north-west and Porthmadog to its south south-west. 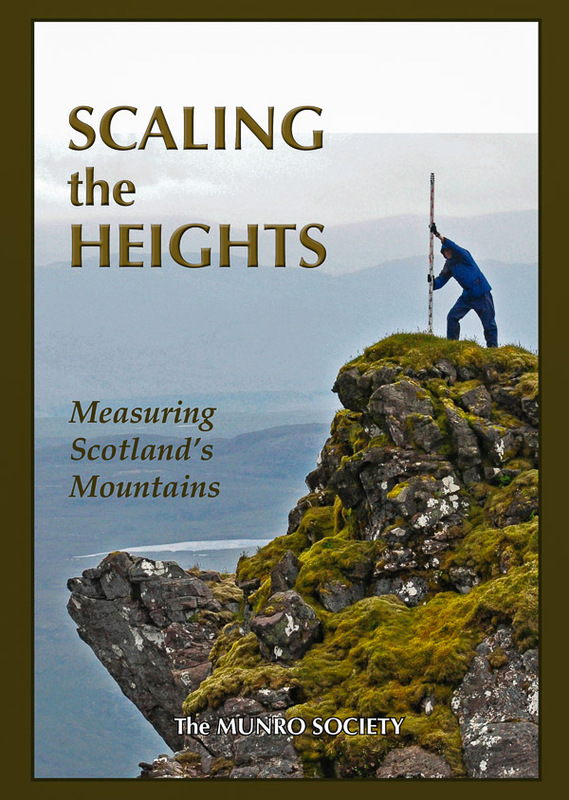 As the summit of the hill is not on designated open access land permission to visit should be sought, however the hill has a well-used path leading to its summit indicating that people have visited this hill for many years. 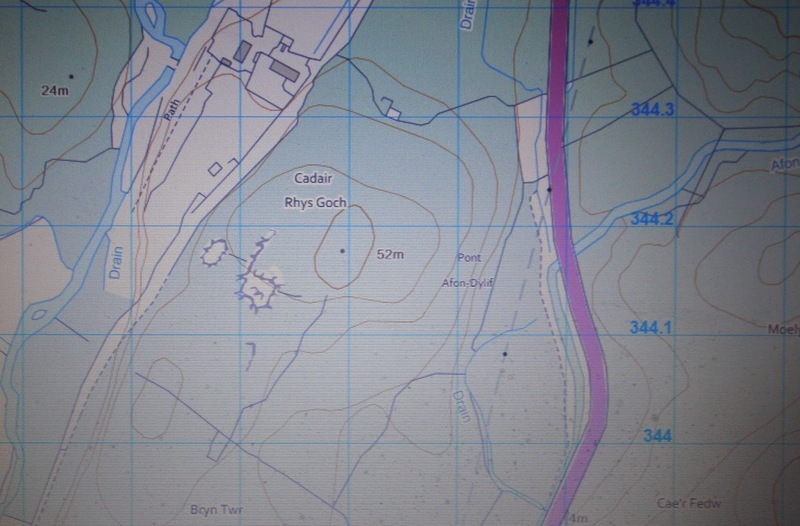 The hill’s summit position was previously given as SH 60493 44178, this is where the 52m spot height appears on the Ordnance Survey Interactive Coverage Map hosted on the Geograph website. 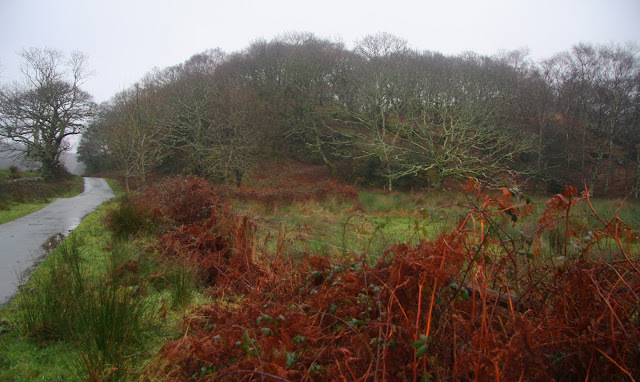 This spot height appears in an uppermost 50m ring contour, whilst the position of the 54.5m (converted to OSGM15) summit is outside of this ring contour which is probably due to the cartographer having difficulty with the tree cover. 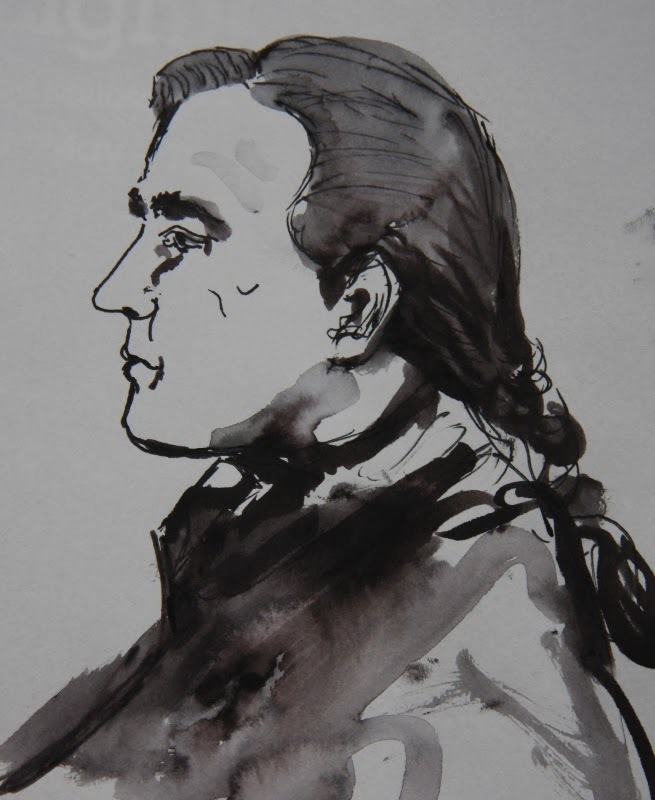 Therefore, the position of the relocated summit is at SH 60453 44187 and is ground at the base of a slate chair dedicated to Rhys Goch; a 15th century bard who lived at Hafod Garegog, near Beddgelert. 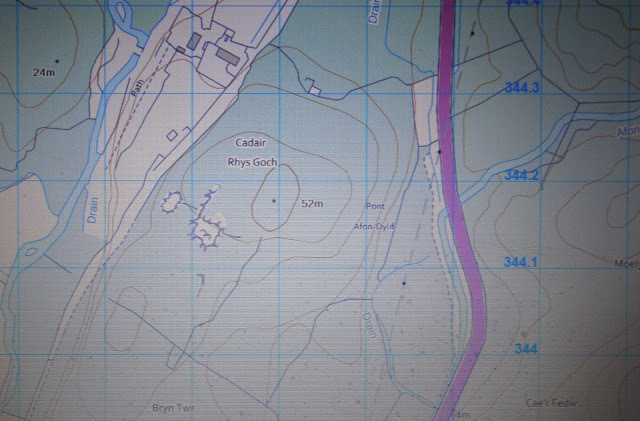 This position is within the 40m ring contour shown on Ordnance Survey maps and no spot height is given to it, the relocated summit is approximately 50 metres east from where the previously listed summit is positioned.